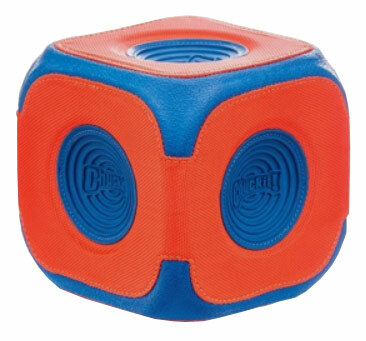 The Kick Cube by Chuckit is like their popular Kick Fetch football but square. Why square? Try it and see. 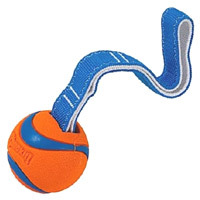 Your dog will love the random way it bounces and rolls and it is easy to pick up too. 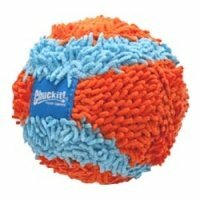 This large square ball is perfect for all dogs who love a game of football, chase and fetch. It is solid compressed foam, so it can't be punctured (there is no air in it) and it is lightweight too. 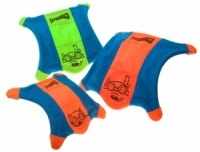 Covered in durable canvas with reinforced rubber corners to increase the toys durability. 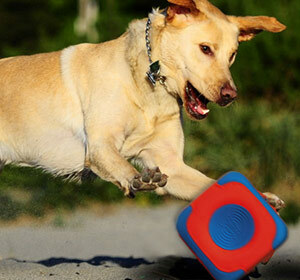 Rubber bite zones allow your dog to easily pick the toy up. Perfect for ground pursuit and kick play. The vibrant orange and blue colours means it has high visibility. It is also easier to control than a standard round ball. And did we say it floats too! One size - approx. 15 x 15cm (similar in size to a soccer ball). 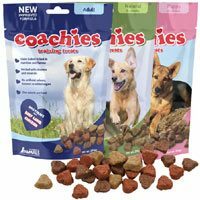 Built for great interactive play with your dog. Supervised play only. Not a chew toy.